Not All Bugs Are Bed Bugs. If your home, business, or establishment has bed bugs, your first priority is to get rid of them quickly, safely, and discreetly. That’s our first priority too. The staff at TRS Extermination are bed bug experts and offer free bed bug estimates and identifications. Our chemical-free bed bug extermination services are trusted by individuals and business around Cincinnati and Dayton. Bed bugs don’t care if your home is clean or dirty — they just want to feed on you and your family. A professional treatment done right the first time by TRS Extermination will make all the difference in your battle with these pests. We provide the technology to kill bed bugs today and prevent bed bug infestations in the future. TRS Extermination kills bed bugs in the greater Dayton and Cincinnati areas. We work hard to eliminate pesky bed bugs from your home so you can sleep better at night being bed-bug-free! We are an independent, family-owned, bed bug extermination company. Our bed bug treatments are extremely discreet. We will kill your bed bugs in just one day. We have 100% success in of getting rid of bed bugs from homes and businesses in Cincinnati & Dayton everyday! When we’re done, your home or business will be bed-bug free in just one day. Found a bug? — Don’t panic! We offer free bed bug identification. Text a picture to 513-604-6332. Unlike some other insects, finding you have bed bugs is not a statement on the cleanliness of your home. Bed bugs don’t care if your home is clean or dirty or if you are rich or poor — all they want it to live around you and feed on you for dinner. Discovering you have bed bugs need not induce panic. Follow some simple tips and your experience will be more pleasant than if you ignore your bed bug problem. TRS Extermination offers a free bug identification service. Simply text us a picture of the bug you found to 513-604-6332 and we will help you know what pesters you. Most importantly, call a professional bed bug exterminator at the first sign of bed bugs. 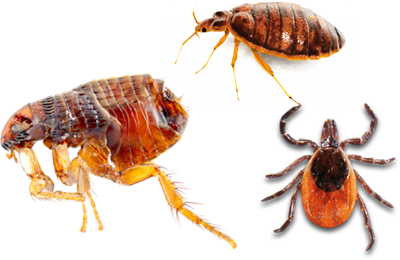 The sooner you contact a professional who can kill all the bed bugs and their eggs in one visit, the sooner you will be bed bug free. Next, realize bed bugs will probably be found throughout your home, so don’t throw away your mattress, bedding, or any other furniture. Thirdly, prepare for a bed bug treatment by eliminating clutter on and around furniture and throughout your home. Lastly, relax (as best you can) and know relief is on the way! The Most Competitive Pricing and Best Service Guarantee in Ohio! TRS Extermination specializes in Bed Bug Heat Treatment using the latest and greatest technology available. The extermination process used is the most affordable and effective solution to kill bed bugs, guaranteed. The treatment is quick, efficient, and completed in approximately 6-8 hours. Your home — and most importantly your family — will be 100% bed bug free in less than one (1) day! You don’t need to deal with bed bugs alone! View our bed bug heat treatment photos and videos. TRS Extermination is the leader in the Ohio bed bug treatment industry. Our innovative technology and convective heat methodologies have proven to be the most effective system for a complete bed bug eradication solution. We use portable direct-fired heaters. These eco-friendly devices elevate the ambient temperature to a level that is lethal for bed bugs yet safe for the contents of your home. The unit disperses and convects heated air throughout the room so that it warms every location that pests might hide... even places chemical treatments cannot easily reach. Heat treatments eliminate the requirement to use toxic pesticides inside your home and the potential for lingering chemical residue. Our professionally-trained technicians can safely eliminate the bed bugs in one treatment without damaging your home. Service was quick and efficient! Team was knowledgeable, fair, and friendly. Why does TRS Extermination Recommend Heat Treatment? Bed bugs are dangerous pests that are becoming extremely prevalent in Ohio. These parasitic insects typically accompany you home after travel to a friend, relative, or after staying in a hotel. Their numbers declined in this country after the Second World War, but this trend reversed after the ban of DDT. Named for their tendency to attack their prey in beds, this nocturnal parasite can live in carpeting, furnishings, books, electronics, walls and electrical systems with cracks and/or crevices. They sleep and breed in these hidden locations during the day and then come out at night to feed on you and your family. Their bites are painful and can trigger allergic reactions. With the ban of DDT, heat treatment has become the most reliable way to exterminate bed bugs and their eggs. Failure to kill all the eggs guarantees the infestation persists and will continue to be bitten. Heat treatments are 100% safe to you, your family, your pets, and your home and belongings — including your electronics, TVs, and computers — and 100% lethal to all stages of bed bugs, including their eggs. Unlike chemicals, heat kills bed bugs wherever they may be hiding: in furniture, in the walls, along the floors, in computers and electronics. Our trucks are discreet. We could be a plumber or a contractor. We do not advertise to your neighbors that you have bed bugs. TRS Extermination offers two effective treatments for eliminating bed bug infestations. While both treatment options are effective, it’s important to weigh the pros and cons of each treatment to decide what is best for your situation. The biggest determining factors you will want to consider are your budget and your patience for ending your bed bug problem. Our helpful staff will be glad to help walk you through your options and help you choose the right solution! Treating bed bug infestations with thermal is a 1-day process to completely eliminate your bed bug infestation. Heat treatments kill all stages of the bed bug life cycle, and can have you bed bug free as soon as the treatment is done. This process takes approximately 6-8 hours (depending on the size of your home). While it is completely non-toxic your family and pets must stay out of the house while the treatment is in progress. Heat treatment is the best option for those wanting to immediately rid themselves of a bed bug infestation. Unlike heat treatments, our Aprehend spray treatment takes around 2 weeks to completely kill all of the bed bugs in your home. This treatment method involves spraying Aprehend in areas where bed bugs like to hide. Bed bugs must cross the sprayed areas in order to be eliminated. Because the bed bugs reproduce quickly, you will have to wait for any eggs to hatch and those nymph’s to walk through the treated areas before they are killed. During this 14-day period, you will continue to see bed bugs in your home. The benefit to the Aprehend treatment is the price. The typical Aprehend bed bug treatment is 50% less than the cost of thermal remediation. You can’t fight bed bugs alone — call a professional at the first sign of an infestation! Call us today so we can help you take back your home. How Does Heat Treatment Work? Thermal Remediation Specialists will guide you through the simple and effective process. If you believe that you have found bed bugs in your home then it is important to have a confirmation completed as soon as possible so that we can identify where they are and if they have spread to any other areas of your home. Please take a photo with your cell phone and text it to us at 513-604-6332. We will email a simple preparation checklist to you that will explain how to prepare your home for treatment. ​We help you every step of the way! We use only the best products to treat your home. All of our products are EPA approved. Our Integrated Pest Management approach helps to ensure that the bed bugs are eliminated. We stand behind our treatments by warranting our work. Your Health May Be At Risk! Pest infestations can cause major issues, don’t put your family in jeopardy!